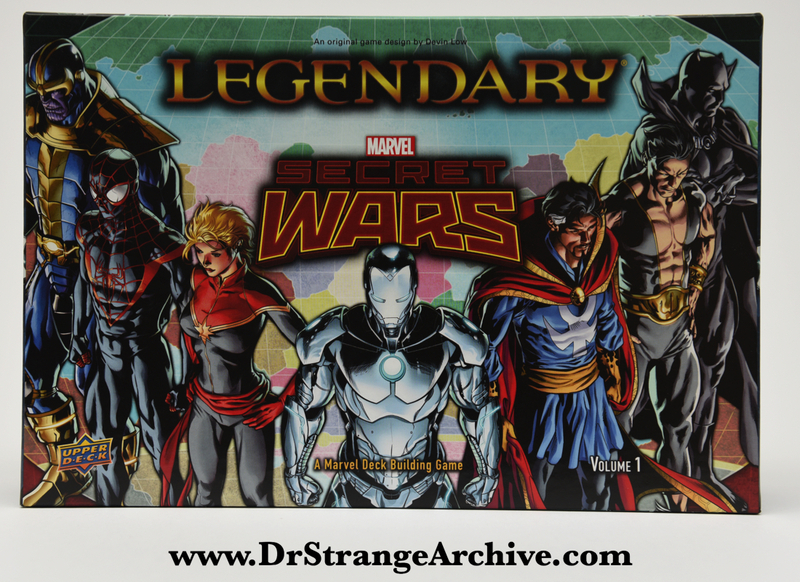 Size: 7 7/8" x 11.5"
Description: This is an Upper Deck Legendary deck building box game for Secret Wars. Dr. Strange is pictured on the front of the box. The Dr. Strange related cards can be viewed in the Cards Database.